A sprawling quilt of greenery, coastal cliffs looking out to the Atlantic Ocean, and proximity to the city of Lisbon all make an Alcabideche property a worthy investment. Once a small rural community, Alcabidehe is now the largest and one of the most populous parishes in the Lisbon area. 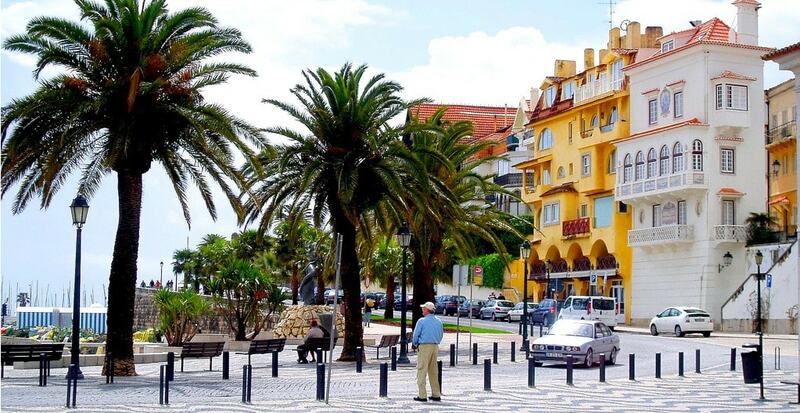 With the Estoril Circuit, the stunning coasts, and a cosmopolitan shopping center, Alcabideche encompasses the best of both remote and city life. The average price for an apartment in Alcabideche is Average price per sqm. in Alcabideche €3,381 0% properties#: 218 last change on: 19 Apr 2019 €3,381 per square meter and for houses it is Average price per sqm. in Alcabideche €3,874 -1% properties#: 366 last change on: 19 Apr 2019 €3,874 per square meter. For investment opportunities, you can expect Average price per sqm. in Alcabideche €1,638 0% properties#: 102 last change on: 19 Apr 2019 €1,638 per square meter. Leading agencies on the Alcabideche property market are Golden Estoril with more than 50 listings in the area, Remax and Porta da Frente (Christie’s) with a significant amount of properties listed too. Alcabideche is an area located within the municipality of Cascais in the southwestern region of Lisbon, Portugal. Lisbon’s Portela Airport is approximately 33 kilometers east of Alcabideche, or about 35 minutes by car. 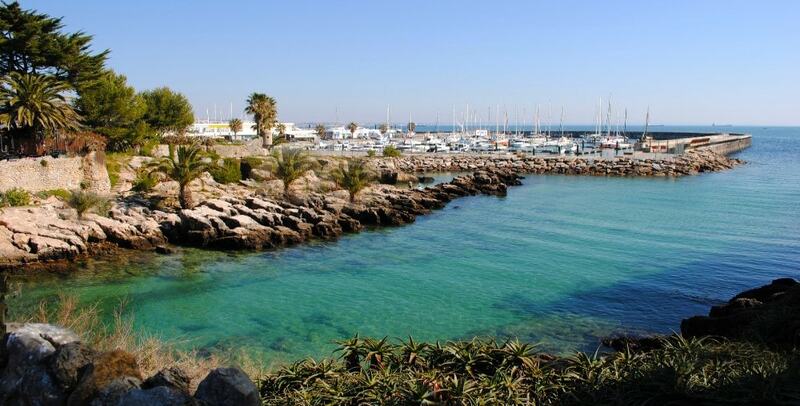 The nearest marina is located in the neighboring town of Cascais, eight kilometers south and 16 minutes by car. The greater area of Alcabideche comprises a few smaller neighborhoods such as Alvide, Adroana, Bicesse, and Manique de Baixo. The climate in Alcabideche, Portugal is seasonal and varied, with warm summer temperatures reaching as high as 27 degrees Celsius (80 degrees Fahrenheit) in July and August. Winters are mild, when temperatures fall to eleven degrees Celsius (52 degrees Fahrenheit). Alcabideche experiences the most rain in November when an average of 19 days of rain during the month amount to approximately 124.5 millimeters (49 inches) of total precipitation. July, August and September see as little as one or two days of rain, with a mere one millimeter (0.04 inches) per month. Wind speeds in Alcabideche are highest in September, when an average gust is 20.6 miles per hour and the average wind speed is 14.5 miles per hour. July is the best time to enjoy aquatic sports on the ocean or river. The average water temperature is 19.6 degrees Celsius (67.2 degrees Fahrenheit). August water temperatures are still tolerable at an average of 17.9 degrees Celsius (64.3 degrees Fahrenheit). The nearest police station to Alcabideche is the PSP Cascais station, located in the center of Cascais. Alcabideche property owners have access to a number of area hospitals including Hospital de Sant’Ana near the Pinhal do Junqueiro park, the Emergency Hospital of Cascais in Alcabideche, and the CUF Cascais Hospital in Barrio de São Jose. The growing international population has a choice among a few international schools in the Alcabideche area, such as Park International School – The College Park Cascais, Crech International de Cascais, Cabo de Roca International English School, International Preparatory School, Escola Alamã de Lisboa (a German school), and St. Antonio International School. Opportunities for leisure are an easy distance from Alcabideche’s residential areas. These include the Quinta da Marinha Golf Course, a fifteen minute drive away. The resort is home to the famous Oitavos Dunes as well as an equestrian center, tennis courts, and an indoor swimming pool. Estoril’s Palacio Golf Course is a closer option, at only five minutes away by car, and Penha Longa Resort is eleven minutes from the center of Alcabideche. Also five minutes away from an Alcabideche property is the Circuit Estoril. This motor raceway that hosts regular A1 racing events. Weekends at the beach are convenient from an Alcabideche property. Both the Atlantic Ocean and the Tagus River caress the L-shaped coast of Cascais. On the Atlantic coast, Praia do Guincho is accented by rugged cliffs and a wide beach area. Its rough ocean waves make it ideal for surfing. Just outside the town of Cascais lie Praia da Rainha and Praia da Conceição. These two smaller beaches are within a fifteen minute drive of an Alcabideche apartment. 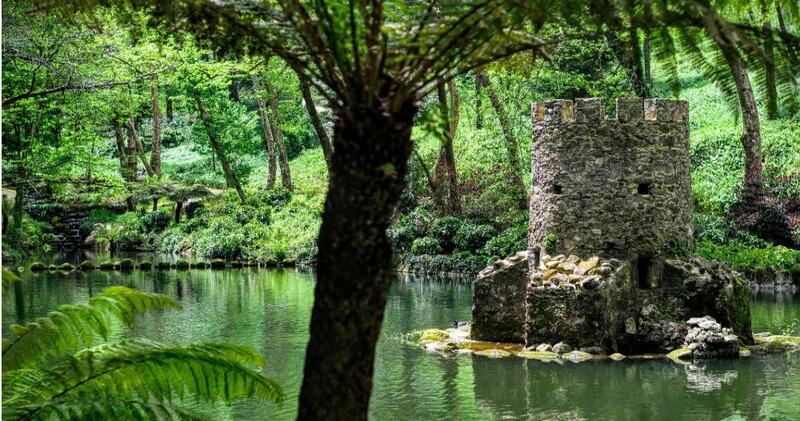 Escape into nature via neighboring Sintra Natural Park, a portion of which cuts into Alcabideche. Among the greenery and opportunities for hiking and camping are a few quaint hillside towns. These include Murches, Zambujeiro, and Malveira da Serra. CascaiShopping is home to numerous name-brand stores where Alcabideche residents can shop for clothes. They can also dine at the Cascais Kitchen, or catch a film at the cinema. For luxurious meals at Michelin-star restaurants, residents can dine at two restaurants that overlook the Penha Longa Atlantico golf course. LAB by Sergi Arola features creatively constructed dishes served from an open-plan kitchen; or try Midori, Portugal’s oldest Japanese restaurant that maintains a modern flair. In Cascais proper, Alcabideche residents can delve into the world of fine arts by visiting the Portuguese Music Museum, the VSB Art Gallery, the Museum of Condes de Castro Guimarães, or the Casa das Historias, a house dedicated to the works of artist Paula Rego. Alcabideche celebrates most of the festivals that are hosted by nearby towns like Cascais and Estoril. Portugal’s oldest handcraft festival is held in Estoril each year. Cascais’ Sea Festival and Festas de Viana are held at the end of each summer. An Alcabideche property borders the line – literally – between a cosmopolitan Portuguese city and a relaxing seaside resort. With the Sintra forest and modest hills as a backdrop, purchasing an Alcabideche property offers the best of three worlds.